On 20th April the consultation period closed for a new Bill proposed by Daniel Johnson MSP – Everyone Deserves a Safe Working Environment. Two weeks ago one of our team was assaulted in the restaurant by a customer. The police have been called and charges will probably be pressed. Our lovely member of the team was just doing his job. He’s a gentle, polite boy you’d love if your daughter brought home! Today is our 14 year anniversary at Contini George Street, Centotre to all our old fans! Up until last week we always thought we were robust in our training and coaching. We coach on customer behaviour and strive to always deliver a 5 star visitor experience. All our venues are Taste our Best accredited which reflects the quality of our service as well as the quality and sourcing of our food. 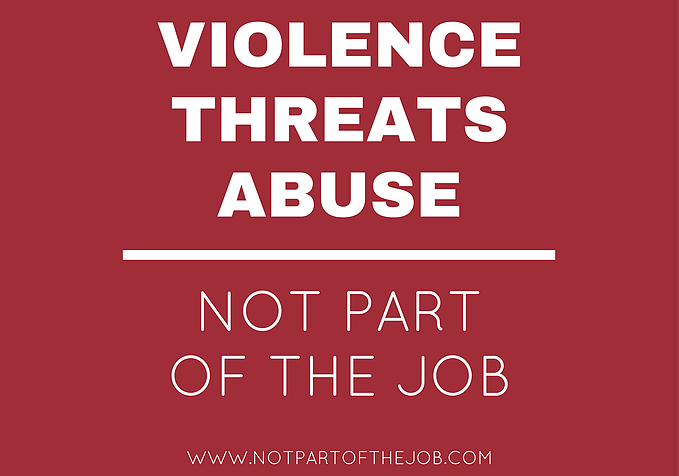 We never thought 14 years ago we’d have to coach on violence in the workplace. Sadly we now do. I therefore now find myself questioning the customer is always right mentality. The level of abuse in the hospitality and retail sectors ( in our our hospitals and schools) has reached a whole new level. Tripadvisor and Visit Scotland and similar bodies should challenge this too. Please, if we make a mistake, let us know and we’ll do our very best to fix it. If we don’t know until a week later via an online review how can we make your experience better. The “Me Too” movement has exposed the bullies but there is almost the sense that they’ve shifted into the daylight of the service sector and we are not tolerating it. Today and every day I’m coaching my team to provide our Victor welcome (to make sure everyone feels happier when they leave than when they arrive) to give the Carlo Cuddle (to say thank you to all our customers, we so appreciate you supporting our independent family business). Be polite, be humble, be accommodating BUT say no to bullies and say no to rude and abusive behaviour. I have to be honest. When I’ve been stressed or worried I’ve not been the customer or boss that I wanted to be. We’ve all had a bad day. We’re all human. And maybe it’s only with time (with someone like me) that your character softens for the better. I know I’ve been nippy and grumpy but thankfully the people around me have coached me and helped me to be a little sweeter and a little more patient. None of us is perfect (although my darling husband is pretty close to delivering cultural values both at home and in the business). The service sector are not servants of a ancient era. Dickensian Upstairs Downstairs hospitality mentality is not for the 21st century. We are professional and we only want you all to have a lovely experience. We come to work to share great food and great hospitality. We do whatever we can to make that experience as best as possible. From a cappuccino to a tasting menu. International guests behave differently we see far more respect from American guests than we sometimes see from our own British guests. It is a two way experience. The happier you are you may notice your experience reflects this. Go anywhere in a bad mood and chances are after you’ve paid your bill you’ll only be more miserable. A bad day is one thing but the bully; chances are; is the bully in the workplace and the bully in the car park and the bully in the restaurant or shop. We know who you are and we’re watching you. The bully isn’t always right – definitely not in our world. To all our customers who share our values and make our day happier when we go home than when we start, we thank you and we genuinely love you all so very much. Daniel I wish you all the best with the Bill. You have our 100% support in saying No to bullies wherever we are, whatever job we do.